HVAC is not the sexiest part of a house, but it is an important to know if your furnace and AC are working well and installed correctly to keep your home comfortable for you. If HVAC is not installed properly or not working correctly, it is going to cost you more to operate for the lifetime of the equipment. And when you are fed up with the HVAC system in your house, you will have to pay to replace it out of your pocket. 1. Check to see if the HVAC is working. Turn on the furnace and/or air conditioning and check to see if the hot/cold air is coming out. Soon you should feel a difference in the temperature in the house. Walk into every room of the house. Each room should have the same level of comfort. There should be no temperature or comfort difference between the various areas of the home covered by the HVAC. If this is not the case, then hire a qualified HVAC contractor to check the real issue with the HVAC system. 2. Visually inspect the HVAC unit(s). Check the HVAC unit to see if it is clean. If there are black stains on the fiberglass, then that could be a sign of a problem (air leakage). Time to hire a heating and/or cooling contractor. Ask the current homeowner for the utility bills. 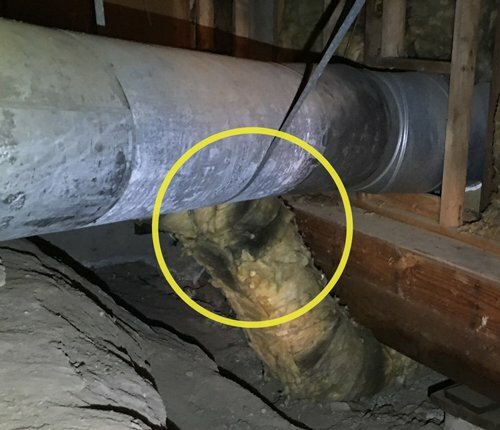 If they seem high for the house and the HVAC seems to be working, then it could be a sign that there might be a leak somewhere. Make sure that there is a programmable thermostat and know how to operate it. You should also have the manual for it. Or at least be able to find its manual online. 5. Get paperwork for a new home. If the home is a new home, then remember to get all the paperwork that goes with the house, including installation manuals, warranties, etc. Contractor should also give you a year of warranty on labor for the unit. The parts warranties are generally from 5-10 years from the factory. 6. Hire an HVAC contractor. If you suspect there might be a problem, hire a qualified HVAC contractor to do the checks. Since you are paying him, he will be working for your best interests. If there is a problem, he can tell you how it should be fixed properly instead of the hired contractor from the buyer putting a band-aid on the problem. Such band-aids will not hold up beyond a few months. Then you will be left to fix all the issues. Be aware that HVAC insurance generally covers breakages and not regular maintenance. RC Mechanical is an owner-operated Redwood City business and has served the Bay Area with integrity for over 20 years. If you have any questions about the HVAC of the house that you plan on buying, give us a call at (650) 575-3915. Homeowners in Redwood City and throughout the Bay Area count on us for all their heating and air conditioning needs.